One of the unique attractions of Charles Haddon Spurgeon's preaching was his unique method of crafting messages which were both rich in substance and clear in presentation. Spurgeon rejected the highbrow attitude of the aristocratic Victorians of the day and instead preached directly to the masses in the popular language of the day. He used illustrations from everyday life and current events, rather than the literary allusions common in Victorian sermons. This approach had an immediate impact in the London of the day, which was starved for relevant preaching. "Not for a long time," one observer noted, "had a prominent preacher condescended to preach the simple gospel in plain English, free from classical quotations and over-burdened rhetoric." 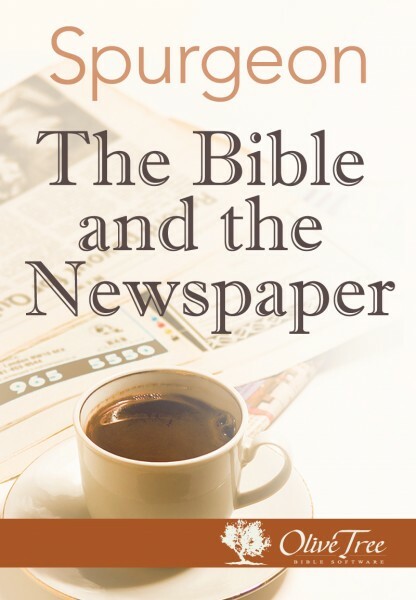 Spurgeon accomplished this task by scouring the newspaper daily for relevant themes which he could tie to Bible messages. As part of his instruction at his Preachers College, Spurgeon passed on this method to his students preachers to read the Bible and the newspaper side-by-side, and he was a keen observer of his culture. Current events, he urged, illustrated timeless truths.